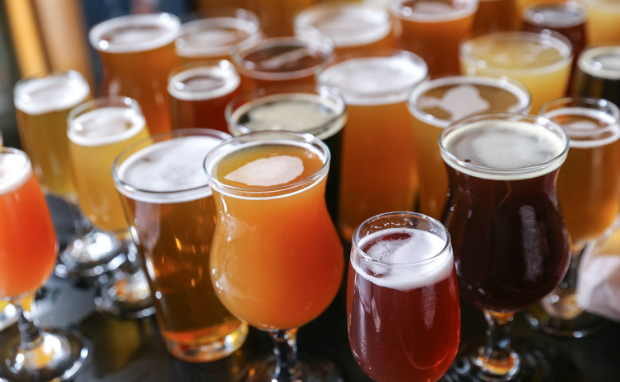 Want to make your own beer this Summer? Here's why you should get started. If you’re reading this then you probably like beer. And if you like beer then you’ve probably thought about brewing it. And if you’re wondering if it’s worth the effort then, my friends, I’m here to tell you it’s so worth it. I’m part of the most exclusive homebrew club that you’ve never heard of, Carthorse Brewing, and here are my top 5 reasons to get homebrewing this Summer. This may sound like an obvious one but man oh man is it a satisfying feeling when you crack open a homebrew. After almost a month of patient waiting you get to savour the fizzy fruits of your labour. You get to decide what you want to brew, how often, with who, and the best part is that it’s pretty economical once you’re set up. For one day’s work, you can get between 20 and 30 litres of beer depending on your system. That’s a fair amount of weekend drinking. Brewing takes a good half a day so it’s the perfect time to hang out with your mates. There are plenty of jobs to go around so everyone can get involved and get their hands dirty. At Carthorse we find it best to assign jobs so everyone knows what to do. Have one brew chief and a couple of brew Indians for optimal results. Brewing is a hurry up and wait game of heating water, steeping malt, boiling wort, dropping hops at intervals, and, well, you get the picture. We like to use the downtime to taste new beers on the market and sneak in a lunchtime braai. A couple of beers per person is good for a shared tasting, but just make sure the brew chief keeps his head in the game or things could go wrong fast. We always opt for a simple boerie or broodjie braai to keep work and clean-up to a minimal. Beer takes about a month to ferment and condition so we aim for a once a month brew schedule. This gives you the opportunity to brew a new beer style every month. We usually put a vote to the club and go from there. Once you’ve got the brewing basics down you can start experimenting with different flavours and interesting ingredients. One of our favourite brews was a Belgian witbier with Num Num berries or Natal Plums. It was light and refreshing with a tart kick from the berries. There are homebrew clubs all over the country and they’re always keen to welcome new recruits. They are the best place to learn the ins and outs of brewing and brewing equipment. The South Yeaster’s is Cape Town’s biggest club and every year they host their annual festival where brewers compete for the coveted Wolfgang Cup. Many a homebrewer has earned their stripes at the club and gone on to build a small commercial brewery. Could you be the next rising homebrew star? Stay tuned for the next installment of this series where we’ll learn how and where to get started on your homebrew adventure.